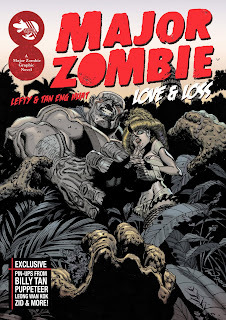 Lefty's Major Zombie: Love & Loss graphic novel is reviewed in the 20 Feb installment of CBR (Comic Book Resources) Comics Should Be Good column. 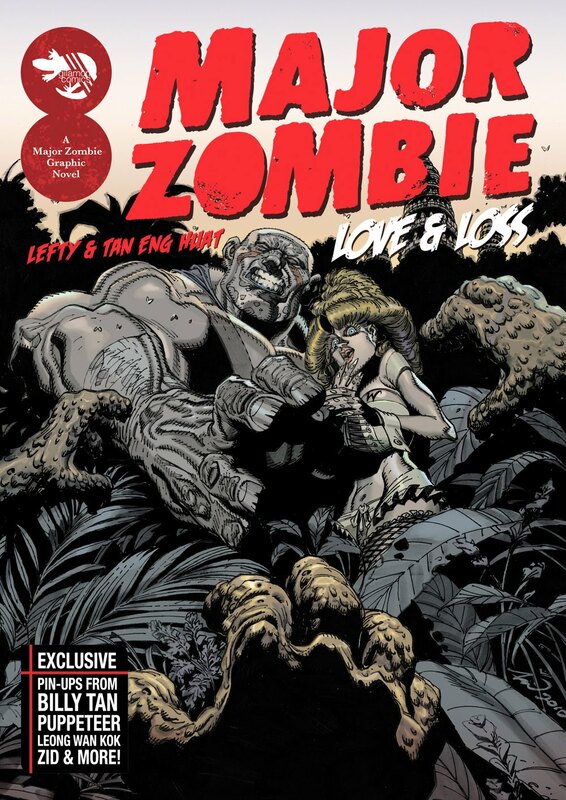 Major Zombie: Love & Loss was launch during the last STGCC and it is currently still available at G&B Comics (Block 1 Rochor Center, tel: 6837 2280), Prologue @Ion and all Kinokuniya outlets. Every day this month I’ll be reviewing a different independent comic book , based on submissions from the creators of the comic books themselves. Gilamon Comics is a Malaysian independent comic book company founded by a trio of comic book artists: Lefty, Michael Chuah, and Chi Sau Lim. Recently, Tan Eng Huat (who has done a number of projects for Marvel and DC, including the very recent Thor: First Thunder series) has begun to work with them, as well. Tan Eng Huat draws the first of two stories in this magazine-sized, full-color magazine, while Lefty writes both stories and draws the second. 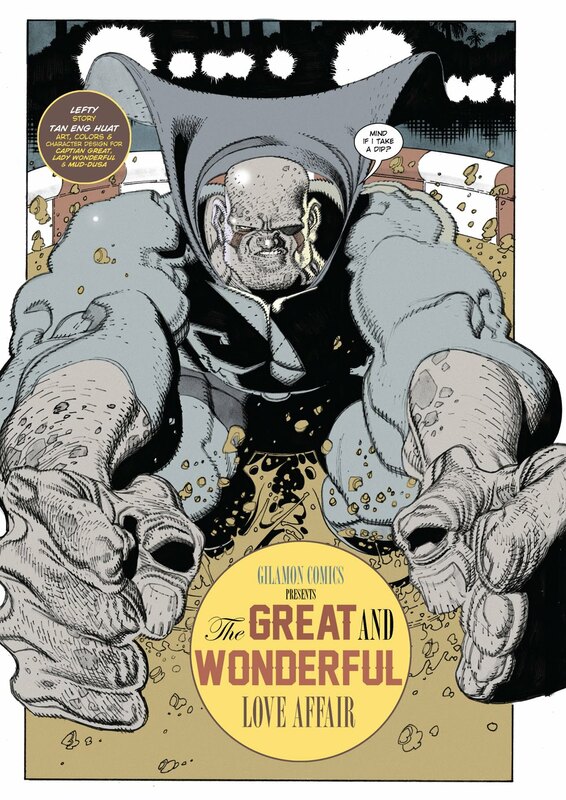 The gist of Major Zombie is as follows – a Superman analogue, Supreme-Man, gets turned into a zombie saving a young female adventurer. He has lost much of his original power, but he is still pretty darn powerful, and continues as a superhero known as Major Zombie, along with the female adventurer, Kaktus, as his sidekick (as obviously she feels indebted to him).